Banish exercise-induced breakouts and get glowing, deep-clean skin with the Adovia Purifying Dead Sea Mud Mask - Susan Said... WHAT?! Of course, the answer isn’t to stop working out. Instead, try the Adovia Dead Sea Mud Mask to combat those exercise-induced breakouts! Created from a special formula of therapeutic Dead Sea mud, Vitamin C, and Aloe Vera, as this mask dries it literally pulls oil and other debris from the skin – leaving behind a glowing, healthy complexion. Toxins and impurities simply vanish! The Adovia Dead Sea Mud Mask is a fabulous product for emergency blemish “spot treatments” and blackhead removal. It can also be used as a regular, all-over facial treatment for those who suffer from adult acne. But, what I like the most is that Adovia Dead Sea Mud Mask not only takes out the things your skin doesn’t need (toxins, impurities, and grime) it also puts back in minerals and moisture with ingredients like Jojoba, Evening Primrose and Olive Oils. The result is that my skin is not only deep-clean, but looks firmer and younger looking, as well. The Adovia Dead Sea Mud Mask is recommended for use once a week. If you suffer from any dryness, as I do, I would suggest using it less often. Excessive dryness leads to flaking, which in turn leads to clogged pores, which in turn leads to more breakouts – a cycle you want to repeat! So, finding the right balance for you is crucial. To use, clean face thoroughly. And, to maximize the effectiveness of the face mask, use after a long steamy shower or mini sauna over a steaming bowl of water. Rinse gently with warm water and a washcloth. Finally, splash your face with cool water to completely close pores. Follow up with a lightweight moisturizer to leave your skin supple and soft. Beautiful! PHOTO: Used with permission by Adovia. Gorgeous giveaway for your guy! Win 3 ties of choice from Ties.com, up to $150! Keeping it real. Men need face moisturizer, too! Beyond mere soap... OrganicGOLD's soap scrubs provide an all natural, luxury spa experience at home! Separator image Posted in WOMEN'S HEALTH & BEAUTY and tagged with must have beauty products 2014, Susan Conforte McNeill, Susan Said What? !, top picks women's beauty products 2014, women's beauty trends 2014. 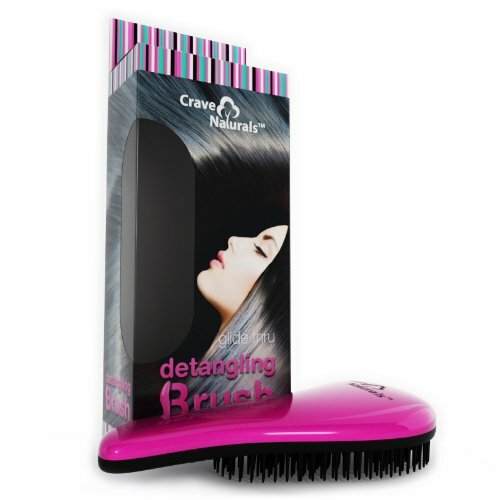 The Glide Thru Detangling Brush by Crave Naturals stands up to thick, long, and even curly locks! Quotes, sayings, and art from Vinyl Craze add instant personality to any room!